Perhaps you are not aware that, in addition to all the other materials produced by Apologetics Press, several years ago we teamed up with Little Acorn to provide churches with VBS curricula. We have two VBS programs. Both are specifically designed to accomplish two objectives: (1) generate the joy that many of us received when we attended VBS as kids, and (2) also prepare kids for the inevitable assault on their faith that they face in our secular society. 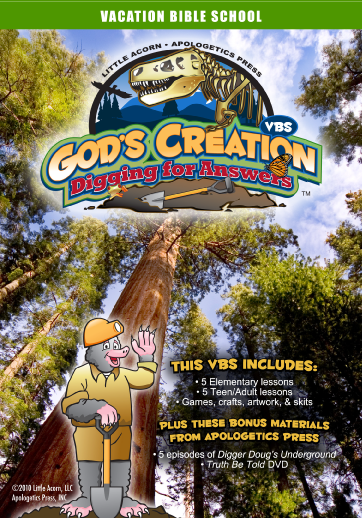 Our first VBS is titled “God’s Creation: Digging for Answers.” It addresses several features of Creation, including the days of the Creation week, dinosaurs, and the Flood. It also provides refutations of evolution. 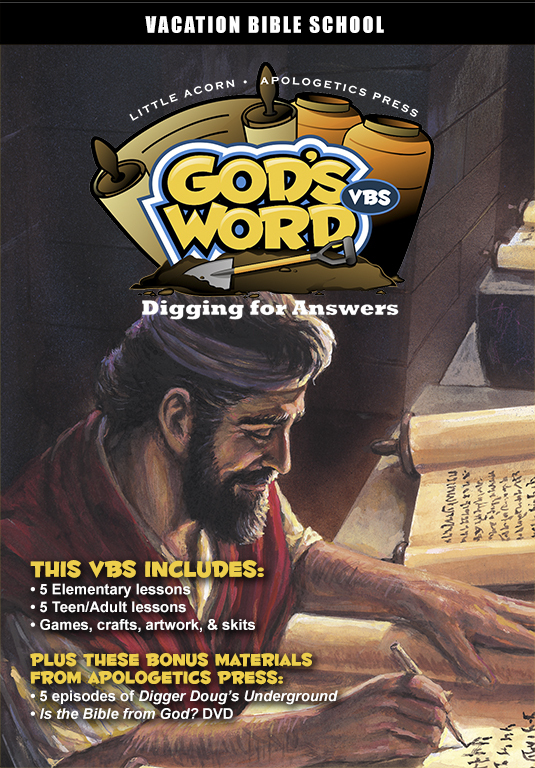 Our second VBS is titled “The Bible is God’s Word: Digging for Answers.” It helps young people to see the reliability of the Bible and its attributes of inspiration. Both VBS programs include a host of materials to aid teachers, including games, crafts, artwork, and skits as well as templates for certificates, invitations, and iron-on transfers to create VBS T-shirts. In addition to materials for elementary children, the curricula also have materials prepared for teens and adults as well. Literally hundreds of churches have chosen to use these tools. If your congregation isn’t one of them, why not consider using an AP VBS curriculum this summer?